WHY DO CHILDREN BEHAVE AS THEY DO? Elders knew and warned pregnant mothers against "marking" the babies. They were wise women who have known for generations what is now being proven scientifically. We talk about this in our Positive Parenting classes. Scientist are now proving through many generations of study what the elders of our traditional cultures have known for thousands of years. Stressful experience of a parent, especially a pregnant woman, markedly influence subsequent generations through chemicals changes that occur in DNA. Parents will note on their forms the behaviors they would like to change in their children. A parent who checks that their child is mostly unhappy and they don't know why. We then engage in a conversation about what was going on with the mother during the pregnancy. Was she always complaining, angry, sad or depressed. Generally the participant says yes. 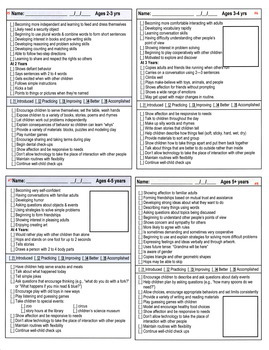 A parent who checks the box indicating that their child seemed nervous or clingy. The conversation will generally be about if the mother had challenges with feeling secure during the pregnancy. Was she in a stable home or environment where her needs were being met? Or was she moving from place to place, not knowing from day to day where she would be existing, or was she in a hostile environment? What we now see some small children, teens and adults being treated for, often has it's roots in what was going on, not just in their early childhood, but also going back before birth, with "Mother" in the womb when they were being formed. The baby in the womb feels what mother feels through the endorphins that are passed from mother to child. They are either happy and experiencing joy or sad experiencing deep sorrows or fears, even crying and cringing in the womb in "true time". A child's character is formed in the womb, either the character traits are strong/powerfully determined or they come here weak/imbalanced based on what is going on with mom in the womb. Once we identify the behaviors and where it comes from with the children, whether it's environmental (T.V., movies, over-stimulating electronic games) or genetic (inherited emotions, allergic reactions and response to chemicals in the foods, i.e., dyes, artificial flavors, hormones), then the parents learn the Positive Parenting techniques that will address the steps for proper development: mentally, emotionally, spiritually, and physically to accomplish the desired behavioral change.